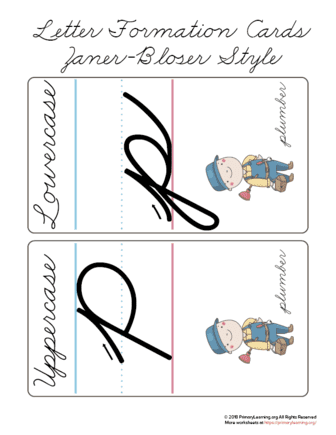 These Cursive Letter P cards build handwriting confidence by showing the correct letter formation guidelines from the very beginning. Students learn how to make a Cursive Letter P - uppercase and lowercase. Focusing on one skill at a time helps students bring more attention and better remember how to form a letter. Each card has an occupation starting this letter. And The Letter P is for plumber Patrick! Letters are based on Zaner-Bloser Style.